A career in medical research can be tough, concedes Professor Kathryn North AC, Director of the Murdoch Children’s Research Institute and the David Danks Professor of Child Health Research at the University of Melbourne. “The nature of research is that often you are working within a particular funding cycle, there is pressure to continue to produce, and it’s quite a luxury to be able to sit back and take a long-term view of what you want to achieve,” says the paediatric physician, neurologist and clinical geneticist. “And then, if you’re a clinician scientist, you need to get that right balance between your clinical work and your research,” adds Professor North, who also has a research doctorate in neurogenetics. The translational scientist and is widely recognised as a global leader in four major areas of research – neuromuscular disorders, cognitive deficits in neurofibromatosis, the study of genes that influence athletic performance and the implementation of genomic medicine into clinical practice. But, despite career challenges, Professor North says she would do it all again without hesitation. In fact, Professor North says it’s a great time to be a clinician scientist in Australia because there’s a recognition of how valuable having a lens into clinical practice is when it comes to ensuring that research results are readily transferable into practice. 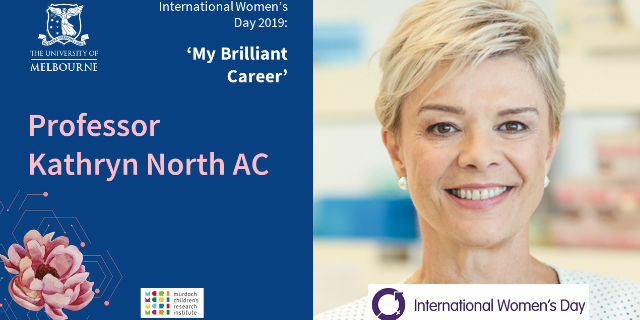 Professor North recalls the most challenging time of her career was returning to Australia in 1995 after completing a postdoctoral fellowship in the Harvard Genetics Program in Boston. She was appointed the first career development fellow at the Children’s Hospital at Westmead. Beginning a research lab from the ground up in a brand-new environment was a “culture-shock” at first coming from the leading Boston community, but within two years – she felt more comfortable in her research role and accepted an academic focused position. During the next 10 years, and with a focus on team science, her lab became the highly successful Institute for Neuromuscular Research and home to six independent investigators and more than 80 researchers. “What it taught me, and I’ve tried to do it ever since, is to create that supportive environment in my laboratory or institute where there is a real sense of community and linkage, because it not only eradicates feelings of isolation, but it’s going to give much better outcomes,” she says. Professor North’s eminent contribution to medical research and service as a mentor and role model was recognised in January 2019 with a Companion of the Order of Australia (AC). She says, being a role model is about kindness. “It’s cultivating and supporting the next generation of clinician scientists that is the most fun of anything I do. 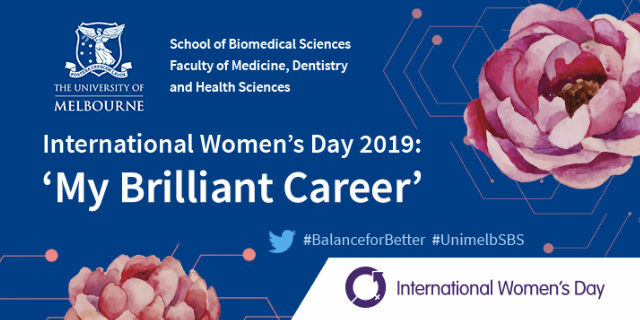 Hear more from Professor North and the panel of leading women in biomedicine in the International Women’s Day: My Brilliant Career podcast. Available from Friday afternoon, 8 March.